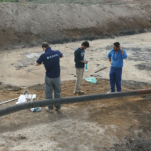 EAME have recently been commissioned to undertake a soil and sampling programme of the mud and flare pits of the Halfaya oilfield, Iraq. The programme has been designed to ensure so that any follow on remedial work will be planned appropriately. 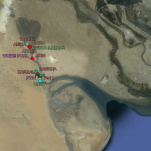 The Halfaya oilfield is located east of the city of Amarah and has a proven reserves of 4.1 billion barrels of oil. EAME has been featured again within Environment Analyst. 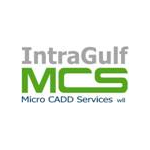 This time focusing on how the Company has entered into a joint-venture with Bahrain-based surveying firm Intragulf MCS. Environment Analyst is a publishing and business research organisation with a remit to track performance and opportunities within the environmental services sector, with a particular focus on the environmental consulting and support services market. It is possible to get a Free 7-day Trial to access Environment Analyst reports. If you have any questions or wish to enquire about our services please don’t hesitate to get in touch. EAME has been confirmed as a preferred environmental consultant (one of three) in relation to the Coventry University Enterprises Ltd (CUE) European Regional Development Funded (ERDF) ECO Business Project. 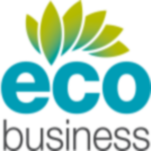 The ECO Business project is designed to provide grant funded support to Small to Medium sized Enterprises (SMEs) within the West Midlands. The grant funding can be used towards consultancy expenditure (up to 50% funded) and subsequent capital costs. For further information please visit our specific project page EAME ECO Business Services and/or the Coventry University Enterprises Ltd website for further details ECO Business WM. EAME has been featured again within Environment Analyst. 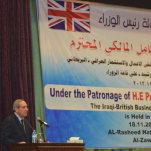 This time focusing on how the Company has been developing and growing its range of services in Iraq. 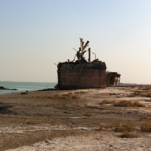 EAME is pleased to announce the establishment of a shore-based vessel Automatic Identification System (AIS) in Southern Iraq. From December 2004, the International Maritime Organization (IMO) requires all vessels over 299GT to carry an AIS transponder on board, which transmits their position, speed and course, among some other static information, such as vessel’s name, dimensions and voyage details. 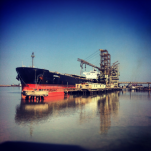 The shore-based receiving station has been established in conjunction with Marine Traffic project. 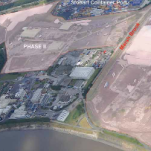 EAME is pleased to announce the publication of an article entitled ‘The Galligu Redemption – From Chemical Legacy to Multi-modal Logistics Park’ within the journal (Civil Engineering Surveyor) of the Chartered Institution of Civil Engineering Surveyors (ICES). If you have any questions about the article or wish to enquire about our services please don’t hesitate to get in touch.